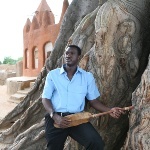 In 2008, WOMEX showcased the King of the Ngoni lute, Bassekou Kouyaté (Mali) and his group Ngoni Ba. Having played for years with the stars of Malian music, such as Ali Farka Touré and Toumani Diabaté, Bassekou released his first solo album in 2007. 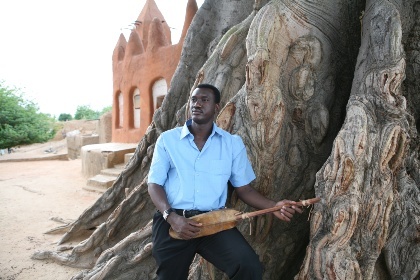 In the same year as his performance at WOMEX in Sevilla, Bassekou went on to win both Best African Artist and Best Album at the BBC Radio 3 World Music Awards. The piece we're listening to today is the title track from Bassekou Kouyaté & Ngoni Ba's latest album Jama Ko, featuring vocals from Bassekou's wife and Malian star in her own right, Amy Sacko. A great album and a great track, click on the link and check out that blistering wah-wah-ngoni solo!